An easy guide to glazing. Glazing is a way of enhancing. It’s a medium that has a longer open time, meaning you have longer to work it before it dries, giving you plenty of time to achieve the desired look. 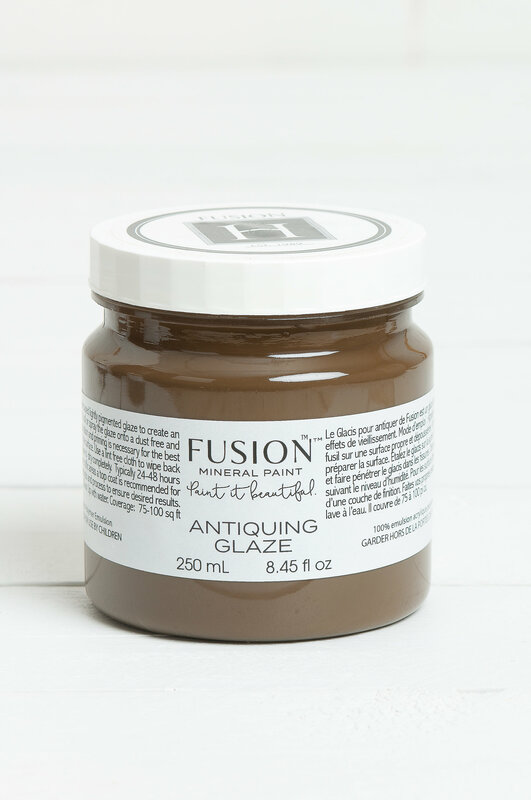 Fusion’s glaze comes in Antiquing or Clear. 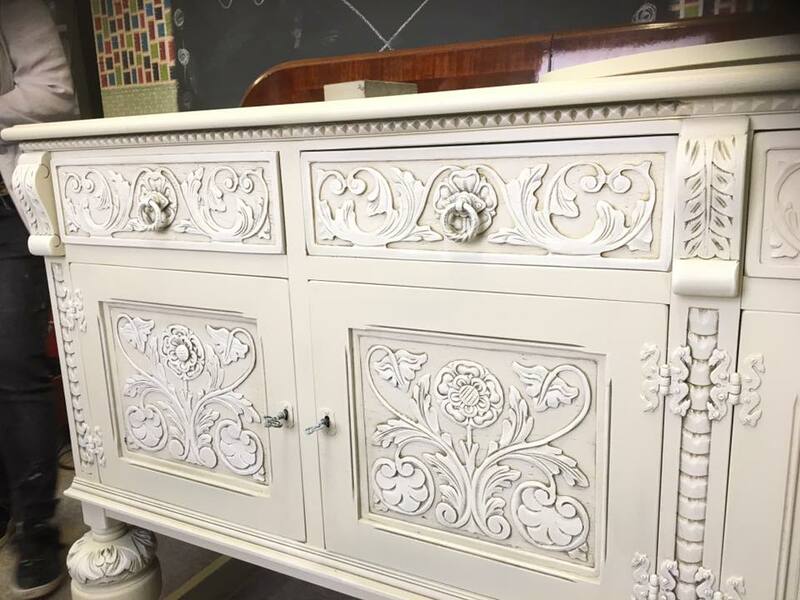 When glazing a porous paint such as Milk or Chalk you would need to apply a slip coat, which just means to seal the paint with a top coat of your choice so the glaze slips on it easier making it more workable. 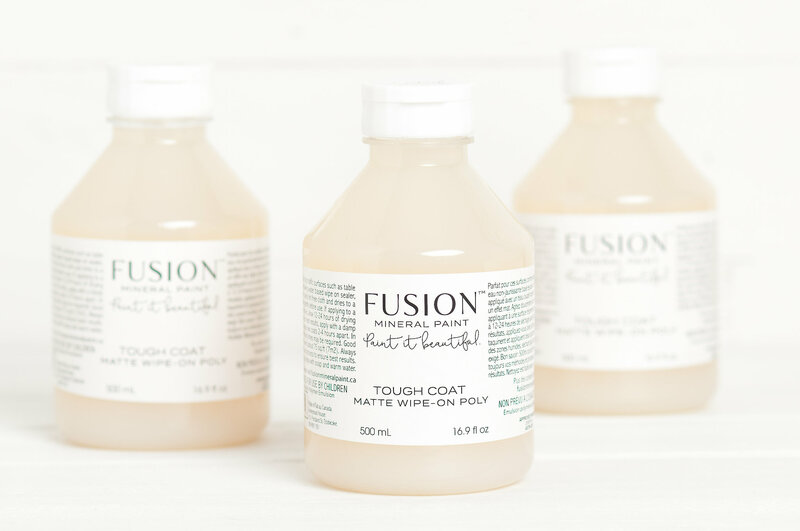 You can buy Fusion Tough Coat here. If a slip coat is not used on a porous paint it will stain the overall colour and you won’t get the defined difference in contrasting colours, which is what you are trying to achieve. Clearly defined dark glazed areas and lighter painted areas. 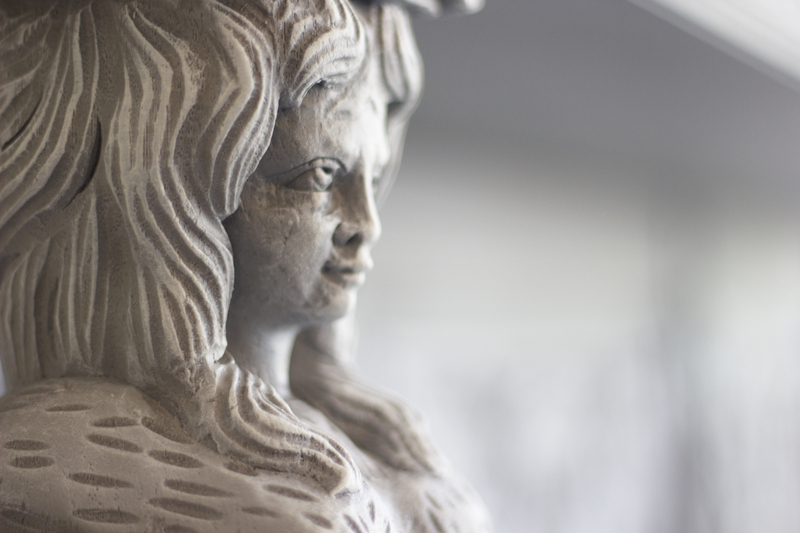 Painted in Plaster with Antiquingglazee and dry brushed with Limestone. You can find this by joining the group if you haven’t already and search #LIVE for a whole library of videos on all different techniques, tips, and tricks. General Finishes Van Dyke Brown glaze was used on this wardrobe. 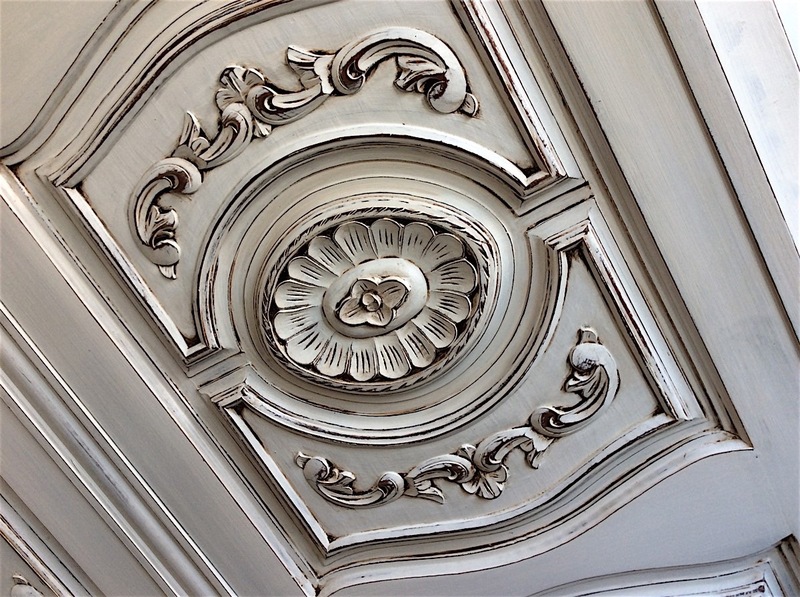 You would want to wait at least 24hrs before applying a Glaze to any paint as the more layers you add the longer the dry time, but most importantly if you are using a water-based paint such as Fusion and are wiping excess away with a damp cloth you wouldn’t want to reactivate the paint, so the longer you leave between coats the better. 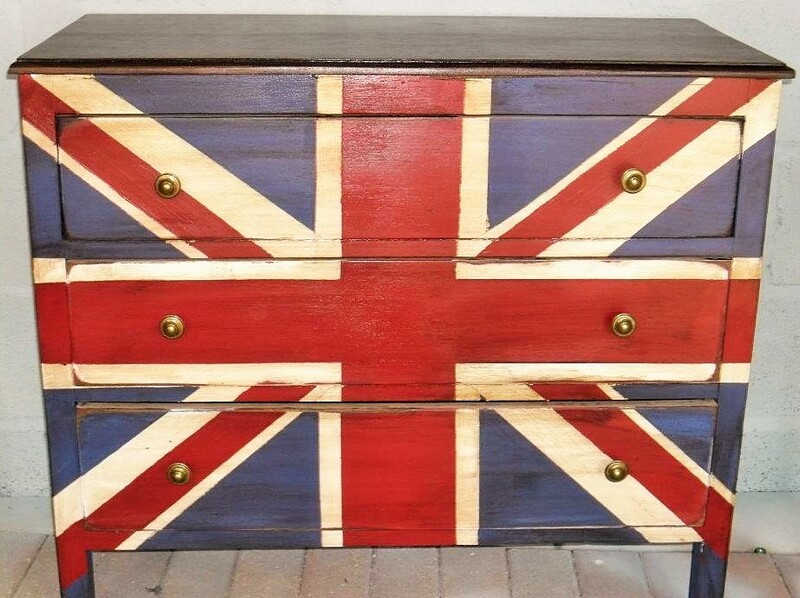 A wipe on stain was used to simulate glaze on this Union Jack Chest. To Finish, you would want a top coat to protect all your hard work. Try out different colour combo’s and test out different techniques, remember it’s only paint! it’s supposed to be fun and if all fails just repaint in your favorite colour…… go on give it a go. Gold leaf a before and after.